The artificial neural networks that are used to recognize shapes typically use one or more layers of learned feature detectors that produce scalar outputs. By contrast, the computer vision community uses complicated, hand-engineered features, like SIFT , that produce a whole vector of outputs including an explicit representation of the pose of the feature. 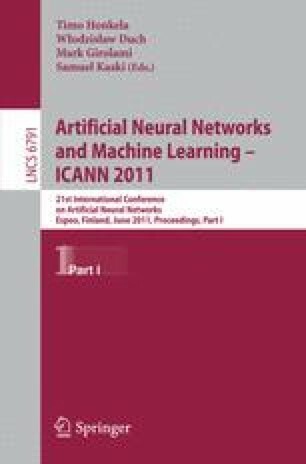 We show how neural networks can be used to learn features that output a whole vector of instantiation parameters and we argue that this is a much more promising way of dealing with variations in position, orientation, scale and lighting than the methods currently employed in the neural networks community. It is also more promising than the hand-engineered features currently used in computer vision because it provides an efficient way of adapting the features to the domain.